GI Joes, Transformers, Remote Control Cars, and Legos. Yeah, I played with all those things. I enjoyed them very much. But there was something else, something much more… feminine that I liked to play with. My parents never had a problem with it, and I never gave it a second thought until now. I remember this very fondly, but I also do realize that what I was really doing was playing with girly toys. When I was younger I had many girl friends. I had more girl friends then I did boy friends (They all wanted to marry by the way, not to boast). I would go to these girl friends houses and play with them. One friend in particular I really had a good time with. So what did we play? We played house, and we played house with Barbie dolls. She had it all. She had tons of Barbies, a Barbie dream house, a Barbie convertible, and of course Ken, Barbie’s cool boyfriend. I would be Ken, and my friend would be Barbie. We were married, (or soon to be married) and we had a life together, with a house, and a car, and a dog. 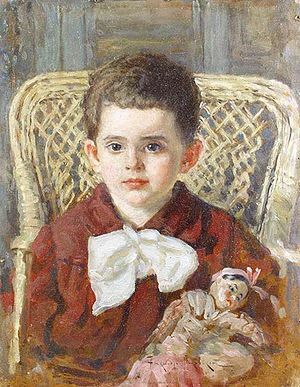 Sometimes we would put our dolls in bed and make them kiss, cause that’s what adults did in bed. I wouldn’t look of course, because that was gross. I loved this. That’s all I wanted to do. For a while I hadn’t brought this girly infection back home with me, but it wasn’t contained for long. One day I went to my this girls house, and she had the coolest Barbie doll I had ever seen. It was Aladdin, from the recently released Aladdin disney movie. It was awesome. 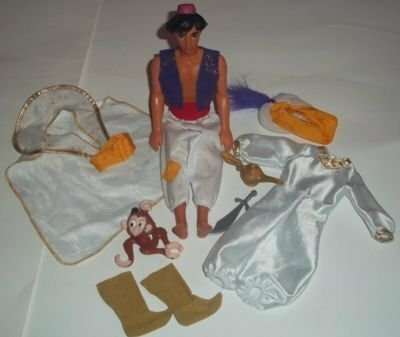 It came with two costumes, Aladdin street rat, and Aladdin prince. It also had a little pet Apu! It could fly in my mind. Pure awesome. I played with it a couple of times at my friends house untill I couldn’t help myself and I asked my mom to get it for me for Christmas. In a house that didn’t allow any videogames (which at this time meant Super Nintendo and Sega Genesis), this was my best option that year. The girly toys had invaded my home. It was badass. This went on and off till around 4th grade. After that I had changed schools, and lost of of my girlfriends so I had to play with boy stuff again. Well, it was good while it lasted. I’m not ashamed of my dabbling into girls toys. It was awesome. I had a great time. 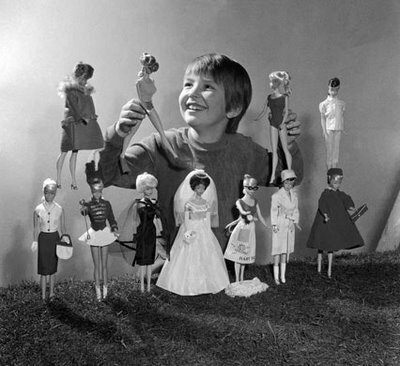 Sometimes I would strip my dolls down and would make them dance naked. Totally not girly. And look at me now, a badass bro, ruling the world with my words. It was worth every minute.